Beauty in the Breakdown: New experience? CHECK! 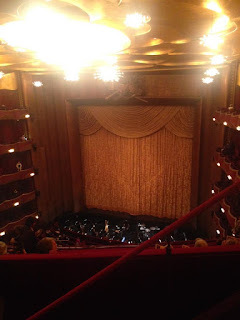 Yesterday, I went to the opera. 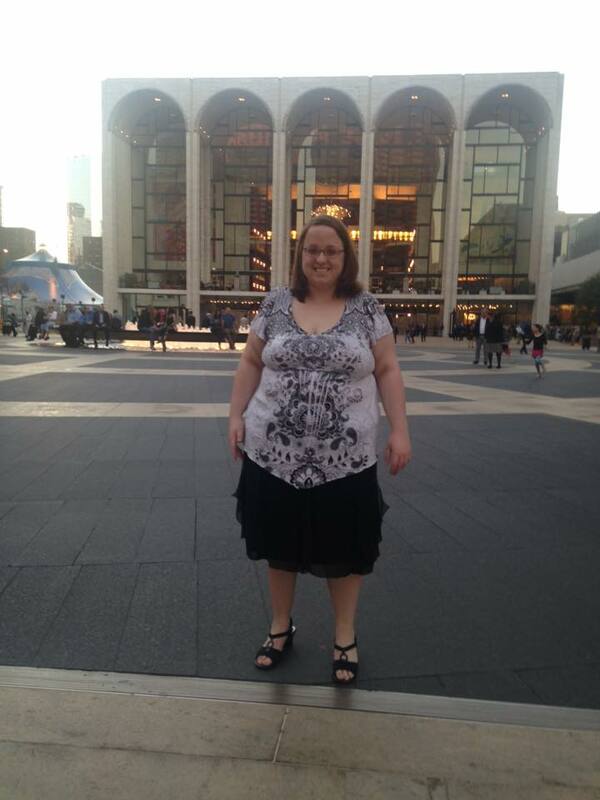 That is THE Metropolitan Opera House. 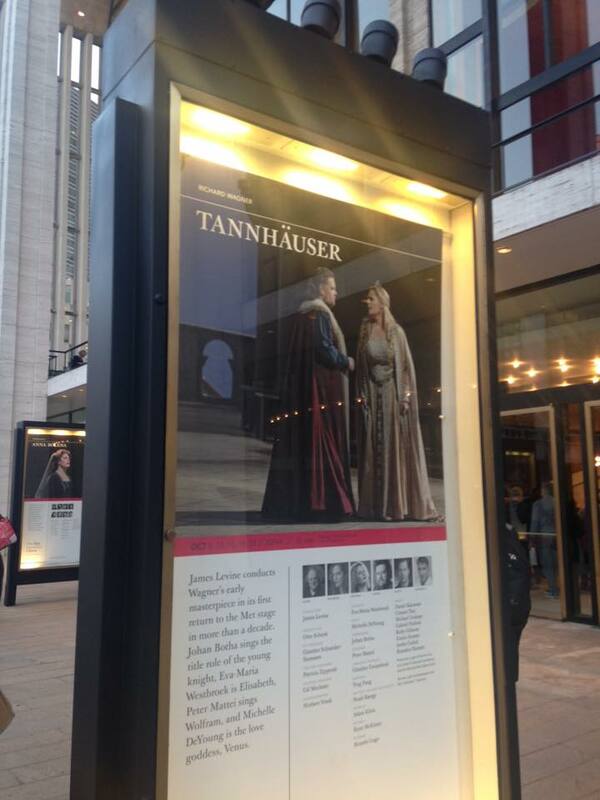 Tannhaüser by Wagner. My European Culture professor got us all tickets. Nicest professor ever. We sat all the way up here. On the highest level, but outside the theater, it gave me a cool view of everyone and everything else. 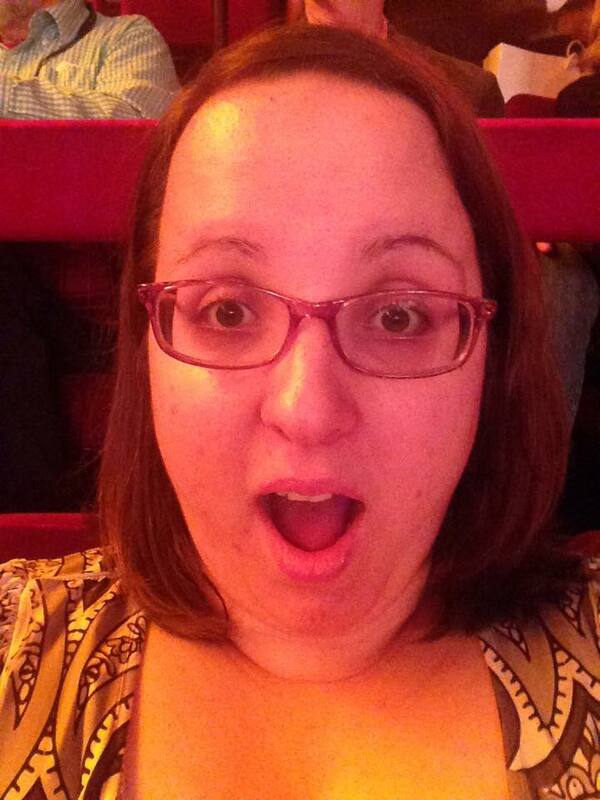 This was my face after Act 1. Partially because the entire thing was in German so I didn't have the slightest clue as to what was happening. 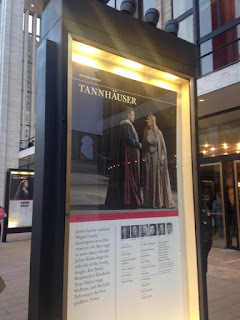 And partially because the cast and orchestra were PHENOMENAL. It wasn't as ornate of a theater as I expected, but it was still beautiful. It was surreal to get to be there. I never thought I'd be at the Met at 23! This was my favorite part of all, though. Lincoln Center Plaza all lit up. 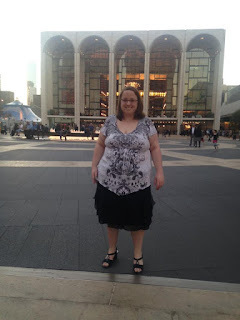 Left to right, these are the homes of the New York City Ballet, the Metropolitan Opera, and the New York Philharmonic. Just amazing to see these famous theaters up close. 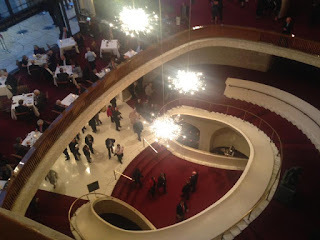 All in all, the opera was a great experience, and I'm definitely glad I went. (I would've been a fool not to go when the ticket was free!) But I don't know if I'd do it again. Listening to people, no matter how talented they are, scream-sing at you in a language you don't know for 3.5 hours (thank God for long intermissions) is not a very comfortable experience. I had a massive headache before the first act was over.